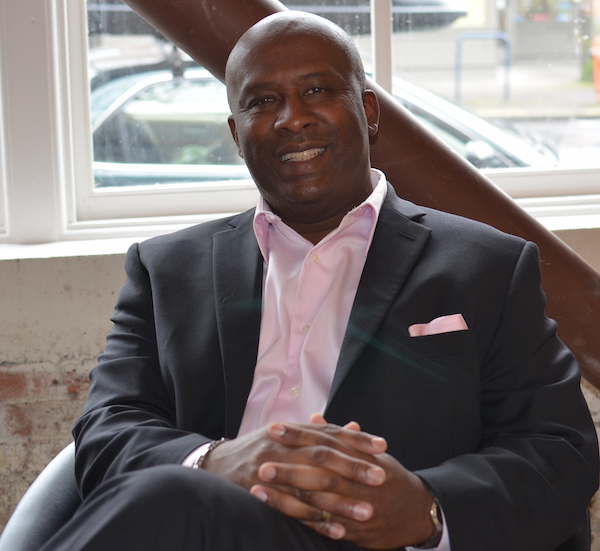 Greg Washington was born and raised in NE Portland’s Sabin neighborhood. He attended Sabin Elementary (then a K-8, as now) and Cleveland High School. Greg is a Principal Broker and an Earth Advantage Certified Broker. He has been working as a Realtor in the Greater Portland area for almost 30 years. Before becoming a Realtor, Greg worked in the restaurant industry at Jake’s Famous Crawfish and McCormick and Schmick’s. Greg is experienced in helping buyers and sellers with homes that range from Craftsman bungalows to Earth Advantage certified new construction homes. In addition to his residential work, Greg has also represented clients in the sale and purchase of commercial properties in the Alberta Arts district of NE Portland. Greg’s career has been built on providing excellent customer service and creating long-lasting relationships with his clients. If you’ve ever met Greg, you know that he is a people-person! Greg enjoys spending time with his wife and kids, including attending his sons’ basketball and football games. Greg also enjoys walking the family dog, CJ. Greg currently lives in NE Portland in a mid-century ranch. Whether you are buying or selling, let Greg’s experience work for you. Greg and Hilary are a fabulous realtor team! I have to thank them for helping me find my first home. I could never have imagined that I would own my first home so soon out of college or that it would be such a perfect house. Thank you for all your guidance and positive attitude during such a stressful time. You made the process painless and I am so glad my family has you as a resource. You rock! I am so grateful and in love with my house. Thank you for making me and my home search a priority. There is a reason all us Brannons love you as our realtor! Exciting find in Portland’s Laurelhurst Neighborhood! Here’s to old friends! Congratulations Boyd! Congratulations to Chi Min and Grace!